Our base level planning package includes 10 hours of wedding planning help plus full, unlimited wedding day coverage. Planning time can be used at the client's discretion - there are no limits! - Planning hours can be used at your discretion; we do not limit how you can use the time! 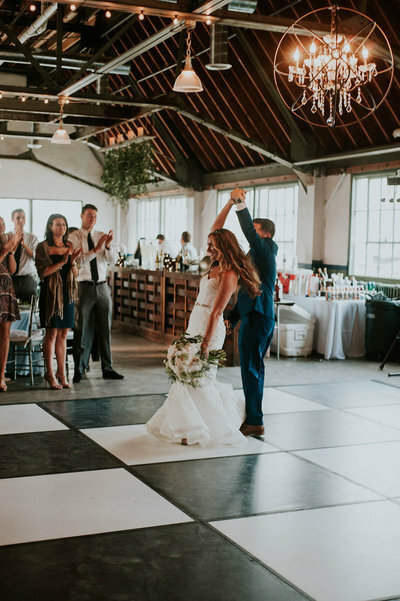 - Assistance throughout the planning process to ensure you're moving forward with the planning, to help keep stress levels low, and to help you achieve the wedding of your dreams! - All documents uploaded to an online drive for easy and instant access to all of your files! - Setup of decor, favors, guest book, tables, etc. - You choose the level of involvement in the planning process and we take care of the rest! Our Full Service Planning package is designed for the modern, busy couple. Under this package, we take care of EVERYTHING both during the planning process and on the day of the wedding. There are no limits with this package!